When it comes to repairing a damaged or broken tooth, there are many factors at play — from the size of the fracture to the state of the remaining adjacent teeth. 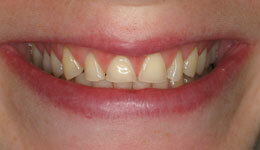 Fortunately for you, our expert cosmetic dentists are here to help diagnose and restore your smile to its full glory. You may find yourself in a position where your tooth requires a large filling but isn’t damaged enough to warrant a full crown placement. In a case like this, one of our Rockefeller Cosmetic dentists may suggest an onlay or inlay as the best, most cost-effective, lasting solution for your needs. 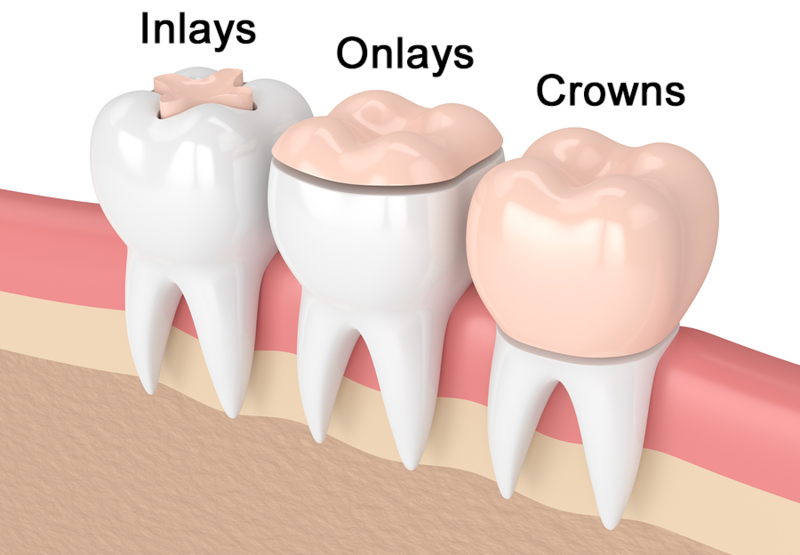 What Are Onlays And Inlays? Onlays and inlays fall into a category between dental crowns and fillings. Essentially, they are used to restore and prevent the further spread of cavities that are too large for a filling, but not large enough for a full crown. They are a more conservative method compared to dental crowns in that they preserve more of the natural tooth’s surface. With onlays and inlays, the dentist only needs to remove the affected or damaged area of the tooth. These are made in a variety of materials depending on the price and durability you wish to install. At Rockefeller Cosmetic Dentistry, we offer gold, composite resin, and porcelain dental onlays. Each of these has their own benefits and disadvantages — most of which can last over 30 years when properly cared for. Depending on the size of your filling and the material you and your dentist select, your onlay or inlay could be the long-lasting treatment option you need to keep smiling well into the next several decades! 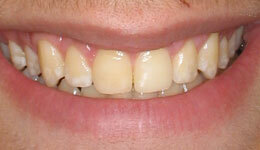 Onlays or inlays can replace the worn out amalgam restorations. 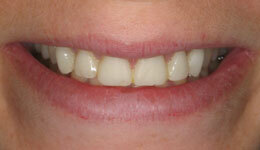 Depending on the material used, onlays and inlays can provide a more natural-looking restoration. The porcelain and composite resin dental inlays can be matched in shade to the natural tooth, blending seamlessly with the surrounding teeth. In addition, amalgam restorations tend to expand or contract with changes in temperature. This can cause the tooth to weaken or even fracture. Porcelain onlays and inlays change size or shape in response to temperature change, which makes them a more long-term and durable solution. What Is The Difference Between Onlays And Inlays? Dental crowns are a treatment option used to protect the tooth against decay and damage. 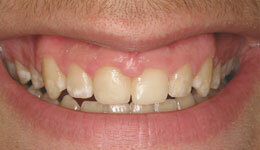 This option replaces the natural tooth structure that is damaged. With dental crowns, the natural tooth structure may be altered and decreased in order for the dental crown to fit securely in between the surrounding teeth. The only real difference between onlays and inlays is the position of the cavity being filled (and subsequently the placement of the cover). Onlays are used to cover larger areas that include the tooth’s biting surface, while inlays fill smaller regions between the cusps at the center of the tooth. Oftentimes dentists call onlays “partial crowns” since they, like full crowns, cover a large portion of the tooth’s surface and provide longer-lasting support than fillings do. How Do I Know Which Is Right For Me? Make an appointment with us today. During your examination, we will assess your overall dental health, as well as the tooth (or teeth) in question. Only then will we be able to determine your best option for treatment and materials, while working with your dental insurance provider to keep the solution within your budget. At Rockefeller Cosmetic Dentistry, we believe in advising you based on the best, longest-lasting solution at affordable prices. If you are experiencing dental problems or pain, we’re here to help — regardless of whether you need a filling, an onlay, or a crown. Schedule your consultation today by calling (212) 581-1091.